Childhood friends and fellow Suzuki kids Ayane Kozasa, hailed for her "magnetic, wide-ranging tone" and her "rock solid technique" (Philadelphia Inquirer), and Cynthia Black are thrilled to be giving back to their Suzuki roots in the Dallas community! The recital will showcase the best of the viola repertoire, ranging from Baroque masterpieces to a contemporary gem. Bonus! 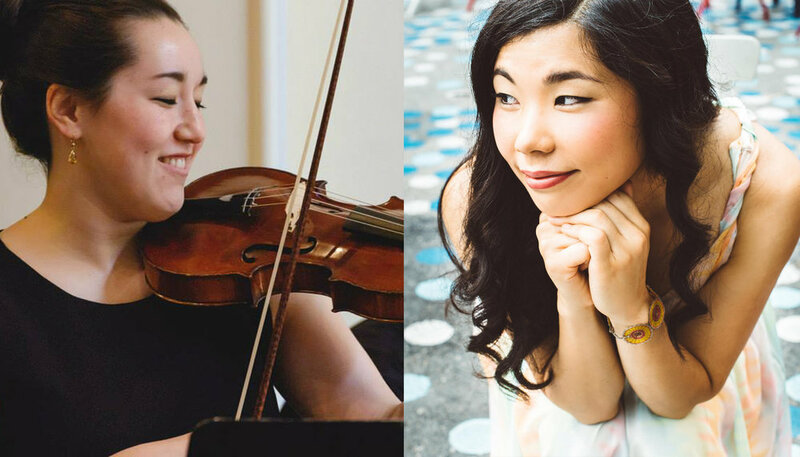 Ayane and Cynthia will also be leading a pre-concert Play-In for the NTSA community starting at 5:45pm! Join in and find out what the NTSA Suzuki kids are all about. Please register here for your participation. Tickets: Ticket reservations are free. A suggested donation of $10/adult and $5/student and children will be collected at the door with proceeds going towards the NTSA Scholarship Fund. Come hear the Jasper String Quartet's “sonically delightful and expressively compelling” (The Strad) and "powerful" (New York Times) performance in honor of their Suzuki roots. Come experience the award-winning Jupiter String Quartet as they perform at The Music Institute of Chicago, celebrating their Suzuki roots. We hope to see you there! The Dryden Quartet is dedicating their TSAP performance to this unique and special event. Potter Violin Shop, the instrument shop that provided instruments and repairs to the Kendalls in their childhood, is dedicating its new performing space to the Suzuki pedagogue John Kendall (also the grandfather of the Kendalls and Daniel Foster). Join us for this special event in the DC area, which will include a Suzuki group class with local students. We hope to see you there! Proceeds for this event will go to the local SAA chapter SAGWA, in recognition of their Suzuki work in the greater Washington, DC area. Don't miss the Inaugural Recital of The Suzuki Alumni Project! Featuring Yumi Kendall (cello), Amy Sue Barston (cello), and Philadelphia Orchestra musicians: Lio Kuokman (piano), Marc Rovetti (violin), Dara Morales (violin), Kerri Ryan (viola), and Burchard Tang (viola).